Arya and Sudhanshu Pandey fight it out in Tambaram! Magizh Thirumeni is back after Thadaiyara Thaaka with Meagaamann which is touted to be an action drama film. 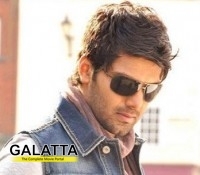 Arya and Hansika are teaming up for the second time after Settai. The current update is that Arya and the antagonist Sudhanshu Pandey of Billa 2 fame are shooting for a high octane action sequence in Tambaram for the past five days. The film is making brisk progress and is expected to be wrapped up real soon. Also, we hear that Hansika is expected to join the team on May 2 to shoot for a song and a romantic scene in Chennai. Stay tuned for more updates!